Czech Genealogical and Heraldic Society in Prague and also Czechoslovak Genealogical Society International in St. Paul, U.S.A.
Beside it Olga Koliskova is a chronicler of the village of Krenovice at Bernartice, she is dealing with the history of village. Her book „Krenovice´s stories“ was issued in 2009. Genealogy helps Olga Koliskova to find who your ancestors were, where they came from and how they lived. 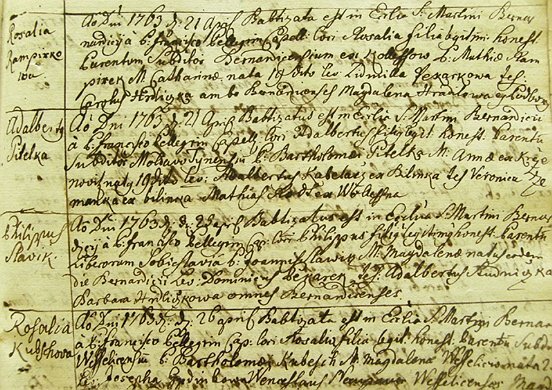 Individual genealogical services, searching of individual archive registry records in Czech Regional Archives and their transcription into English. Taking of photoes by a digital camera or Xerox copy of the original records.